DJ_Steve and E-Yes of Maemo.org forums managed to install and dualboot Android 2.1 and Maemo 5 OS on their N900. I was able to do it myself on my Nokia N900 and I’m here to share you the steps I followed. Changelog of PR 1.2 firmware upgrade for Maemo 5 OS is huge and I just want to share it with you. Things just keep getting better and better for Nokia N900 users. Jacekowski recently ported the crowd-favorite browser to the Nokia N900 and it’s wildly fast and furiuos. There was a rumor back then that the Nokia N900 will be available in March 2010. It was a rumor until today when I received emails from Nokia Careline Philippines. Brace yourselves for the upcoming 1.1 minor update on Firefox Mobile’s version for the Nokia N900. The moment I’ve been waiting for is here. Official Meego repository for N900 is now live. Click this link to take a peek. Thanks to @wonderhelm for tweeting about this. 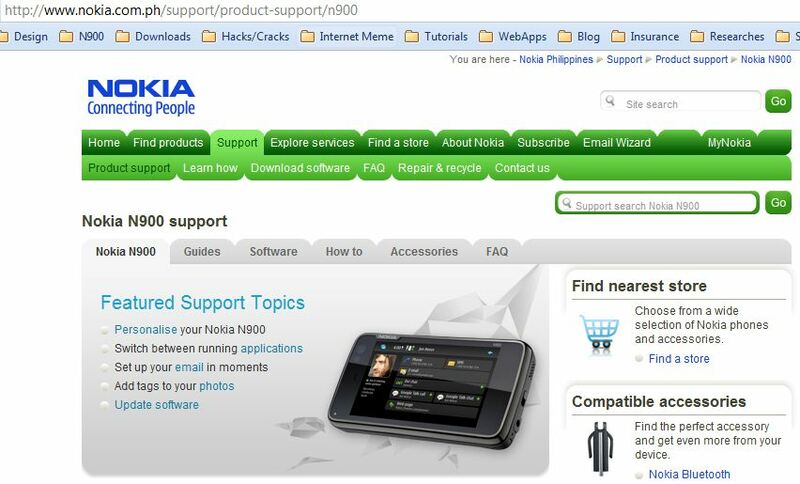 Yesterday, I blogged that a member of MeegoClub reported that Nokia SM North Edsa had already started selling Nokia N900. Though the said device is not yet available at the ‘Find Products’ section of Nokia Philippines Website, it is apparently present at the local Nokia Website’s Support page. Is this just normal or the Nokia N900 had really silently landed in the Philippines. Gadget Pilipinas recently created an exclusive forum for Filipino Maemo/Meego users – Meego Club Philippines. This will be a good opportunity to bond Nokia N900 users in the Philippines especially now that the said Maemo OS device (that will soon have the Meego OS in May 2010) is now officially out in the Philippines. (see related post here). There is now a way to wake your Nokia N900 from sleep by simply shaking it. Be careful though because you might drop your phone from overshaking it. Is N900 coming to Malaysia and Singapore? Rejoice fellow geeks in Malaysia and Singapore for the Nokia N900 will come your way in March 2010… unless you’ve already bought one in Hong Kong. So you’re a Facebook addict and you even want to integrate your FB account with your N900. I got you. It’s simple. 2 more mobile operating systems will get a chance to have Firefox as its alternative browser. The Windows Mobile version is currently on Alpha 3 stage. However, you can already start testing it by click this link on your Windows Mobile 6 device. Congratulations on your new Nokia N900. I assume that you’re a geek and you know a bit about unix and networking that’s why you bought that phone. If you want to learn how to maximize the purpose and value of your phone then I guess you need to learn some N900 basics. I also assume that you have already updated your N900 firmware to Nokia N900 Firmware Updated to 2.2009.51-1. Why get a Motorola Droid if you can boot Android on N900 too!? Recording your mama’s reminders is now just a click away with Tom Waelti’s Recaller Application. Good news! Although Google hasn’t given any support yet for Google Maps on N900, there is currently a workaround available that you can use. 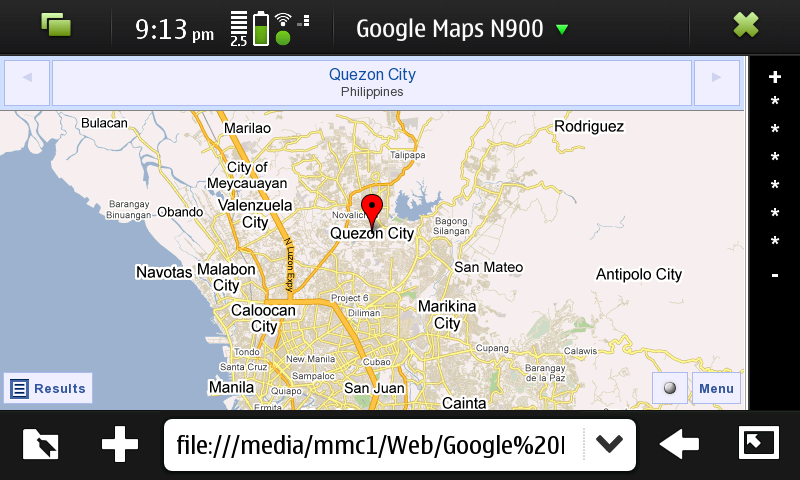 All you need to do is take simple steps to start using Google Maps on your N900.